Timber fencing is one of the most popular and attractive options available for enclosing your garden. 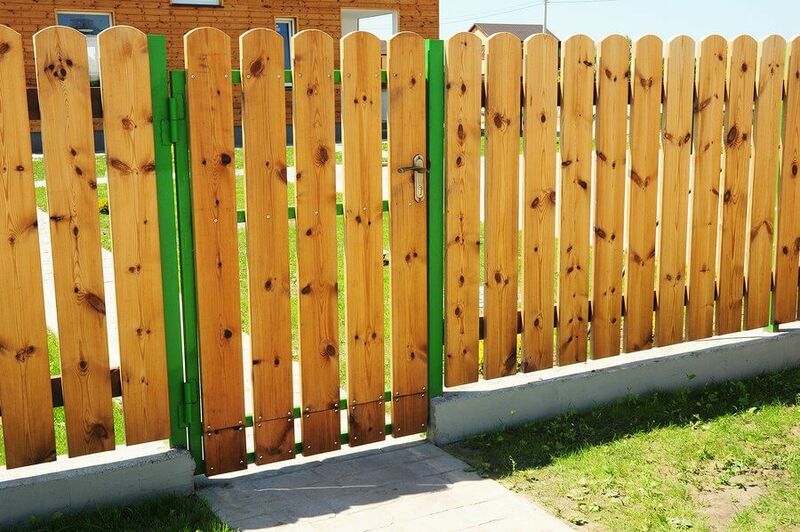 Whether you want to gain a little extra privacy or revamp an existing boundary marker, a wooden fence is a long-lasting, durable and eco-friendly option. Here’s a quick guide to the essential things you need to know about putting up a timber fence. In most cases, your neighbors will be only too happy to let you take the lead in building a quality new fence to separate your garden from theirs. However, it shows courtesy to inform them of your plans in advance and get their opinion. It is also a sensible precaution to check your boundary limits and make sure the fence you put up is definitely on your land. Otherwise you could have a disgruntled neighbor claiming you are encroaching on their property, leading to a potentially messy boundary dispute. Close board: Made of panels of overlapping or close-knit vertical boards, close board fencing is a popular option for adding privacy to your garden. Picket: Highly versatile, picket fencing is commonly used as a boundary marker for gardens, allotments, public spaces and in professional landscaping projects. With vertical boards spaced further apart than close board fencing, picket fencing does not provide the same level of privacy but is widely seen around front gardens and other street-facing spaces where visibility is desirable. Post and rail fencing: The most ‘open’ of the three main fencing types, post and rail does not make use of vertical boards. It is therefore a cost-effective and robust solution for enclosing larger spaces, including fields where livestock is kept. Fencing products come in a wide range of sizes, from 7ft+ panels to ankle-high decorative options for lawn edging. The height of your fence will largely be determined by its purpose. If your main priority is privacy in your backyard, you are likely to opt for a close board option reaching to head height or above. If you are more concerned with marking out your land than privacy, waist or chest-high close board or picket fences can be more than adequate. Wooden fences are usually built with timber or concrete posts to support rails and boards, although sometimes you see larger brick pillars. Concrete posts are used to add durability but they have to be set in concrete foundations, which adds time and expense to a project. It is also common to see fences with horizontal concrete panels placed between the posts at the base, supporting the timber above. This helps to protect against rot. Wooden posts are cheaper and easier to install, as they can be driven directly into the ground. Rot caused by damp-loving fungi can become an issue over time, although many timber products nowadays are treated and can be maintained with regular application of water sealant. Another option is to install metal supports to house the posts so the timber is not in direct contact with the damp earth.